We already know Paul Rudd had the number one movie in the country this weekend with Ant-Man. We already know he’s one of the hardest working men in Hollywood. And we also already know that apparently he doesn’t age – if anything this guy gets younger and hotter every year. But here are some things you maybe didn’t know about this insanely lovable actor. 1. Both of his parents were born in England. 2. He co-starred with longtime pal Jennifer Aniston in The Object of My Affection, Friends and Wanderlust. 3. He went to acting school with Adam Scott. 4. He’s known Jon Hamm since Jon was in high school, and they once competed for the same girl. 5. He beat out Jeremy Renner for the role of Josh in Clueless. 6. He used to work as a Bar Mitzvah DJ. 7. He’s been pranking Conan O’Brien with the same Mac and Me movie clip for at least 10 years now. 8. His debut movie role was in Halloween 6: The Curse of Michael Myers. 9. He’s good friends with Veronica Mars creator Rob Thomas and appeared on an episode of the show in 2007. 10. He co-created the series Party Down with Rob Thomas, too. 11. He’s been married to Julie Yaeger since 2003 and they have two children together. 12. He’s a Kansas City Royals fan. 13. He wrote the “60 percent of the time, it works all the time” line in Anchorman. 14. He bought a large ant farm to prepare for his role as Ant-Man. 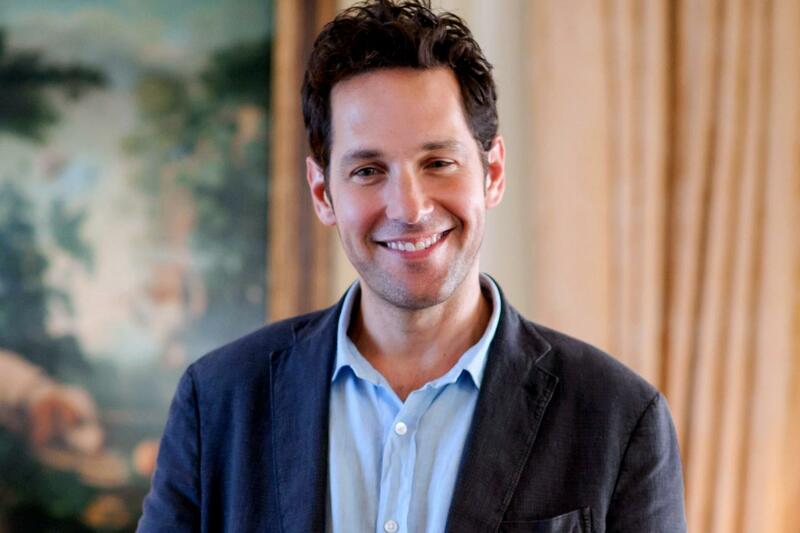 Did you know these Paul Rudd facts? Did any surprise you? Let us know!